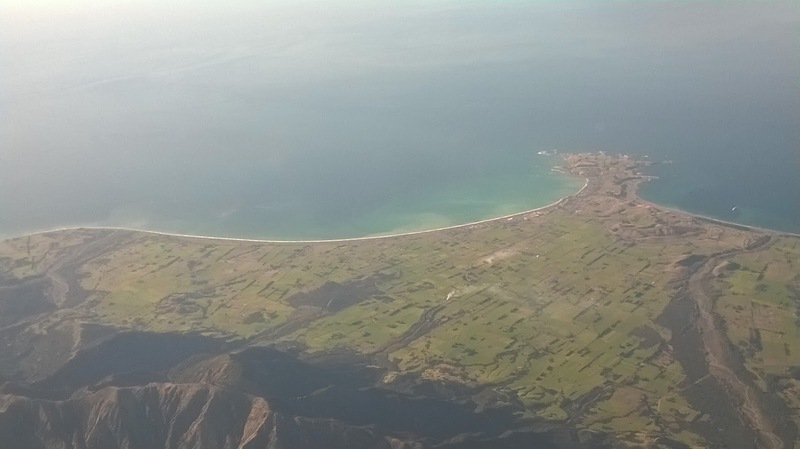 As Air New Zealand cuts four flights linking Rotorua with Wellington, Air Chathams continues to do its “homework” on introducing flights between Whakatane and the capital. 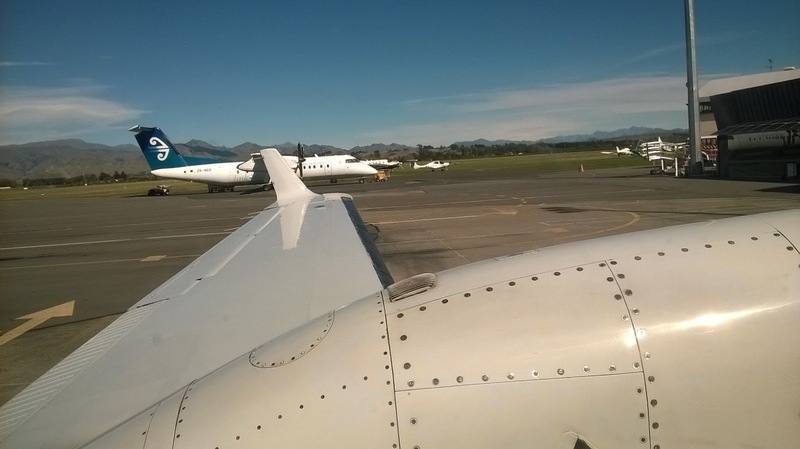 Air Chathams general manager Duane Emeny said the company was continuing to investigate the possibility of flying a metroliner between Whakatane and Wellington. “We are looking into it at the moment and making sure were going to have enough support and there is enough demand there for the service. 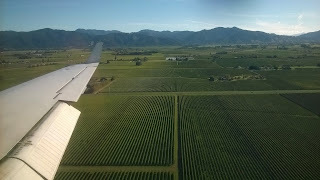 “It takes a bit of time, we have to go back and look at how Air New Zealand operated it when they flew in there and the kind of yields they required for those flights. “There’s a fair bit of homework that needs to be done but we’re doing that at the moment.” In the meantime the company has bought a second Metroliner as a back-up to the existing 18-seater on the Whakatane-Auckland route. The former aero medical plane is undergoing a refit, including a paint strip and repaint in the Air Chathams colours of white and green. 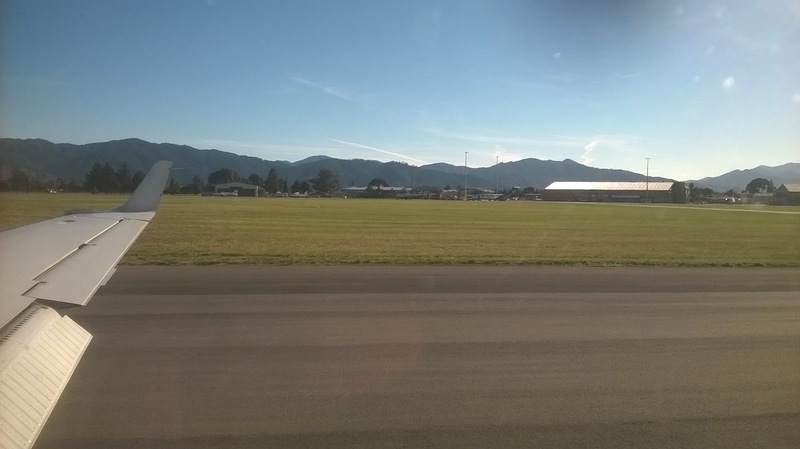 Mr Emeny said the new plane would enable the company to do more charter work out of Whakatane and, in medium-longer term, could be used to fly Eastern Bay passengers to the capital. Rotorua Airport will get a 7 per cent increase in capacity from Air New Zealand as a result of schedule changes about to be implemented by the airline. The changes include a 25 per cent increase in capacity on the Auckland-Rotorua route, an increase of up to 20 per cent on the Rotorua-Christchurch route, and improved connectivity between Rotorua and Queenstown, as well as Dunedin and Invercargill. The increased capacity and connectivity will predominantly come from additional flights on the Auckland and Christchurch routes. The changes will also see an improvement in connectivity with Queenstown, with an increase from two to five flights daily from the end of October. Rotorua Airport chief executive Nicole Brewer said the changes were extremely positive for the Rotorua community, economy and tourism sector, and were a reflection of increased patronage and support from local travellers and visitors, and a strong relationship with Air New Zealand. "These changes firmly support our growing tourism industry, our local business community and our goal to achieve greater connectivity with Queenstown, which is a critical tourism route for Rotorua," she said. "The improved capacity and additional flights to and from Christchurch are particularly important, as good connectivity with the South Island is essential for international visitors to Rotorua." Ms Brewer said the new schedule would provide improved choice for travellers, as well as better fare availability. "Furthermore, the changes mean that a 68 seat ATR aircraft will overnight in Rotorua and provide an early morning flight to Christchurch, returning in the evening. This will deliver an improved service for southbound passengers currently travelling via Wellington. "These changes also reinforce Air New Zealand's commitment to Rotorua and, if demand is demonstrated and proven, additional capacity will be provided. At the same time, if demand drops, then it is likely we will see a corresponding change in capacity." But, Air New Zealand's new schedule will see a change in services on the Rotorua-Wellington route, with two fewer flights a week and a change in departure times. Ms Brewer said the route had been under-performing for some time, and the schedule changes were designed to lift performance, and consequently, sustainability of the route. Rotorua mayor Steve Chadwick said the changes were "great for inbound and international visitors in a growing tourism market". 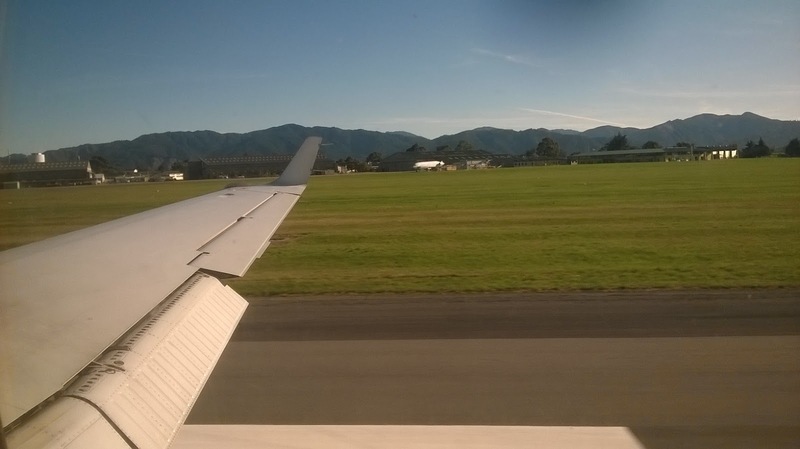 "We are certainly making good progress for our wanted north-south link, but recognise that the changes to Wellington-Rotorua flights, from October, will not meet the needs of all travellers and will be watching the situation closely." The flight changes will be available for booking from next week, for travel from October 30. In Rotorua, Air New Zealand is cutting one return flight a day to the capital from Thursday to Saturday, from October 30. Airport chief executive Nicole Brewer said the route had been under-performing for some time and schedule changes had been designed to lift performance and the route’s sustainability. 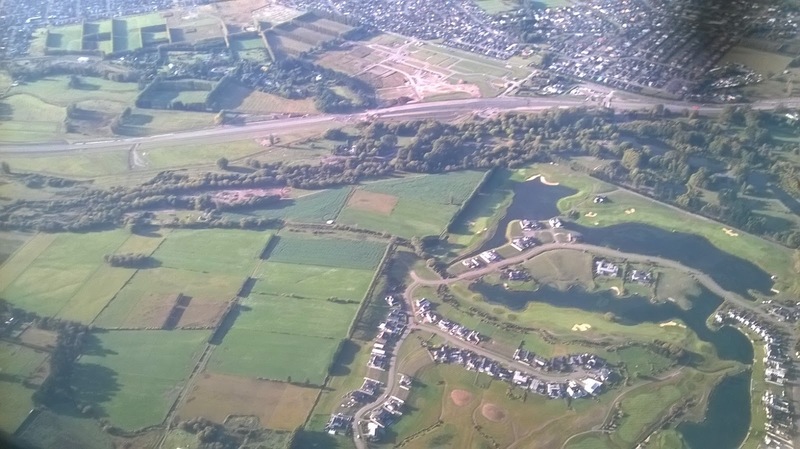 “While the Wellington changes will not suit everyone, we will continue to actively work with Air New Zealand on this route to measure the impact and opportunities, and explore other options.” Overall, the route changes for Rotorua Airport are positive and will increase the airport’s passenger capacity by 7 percent. 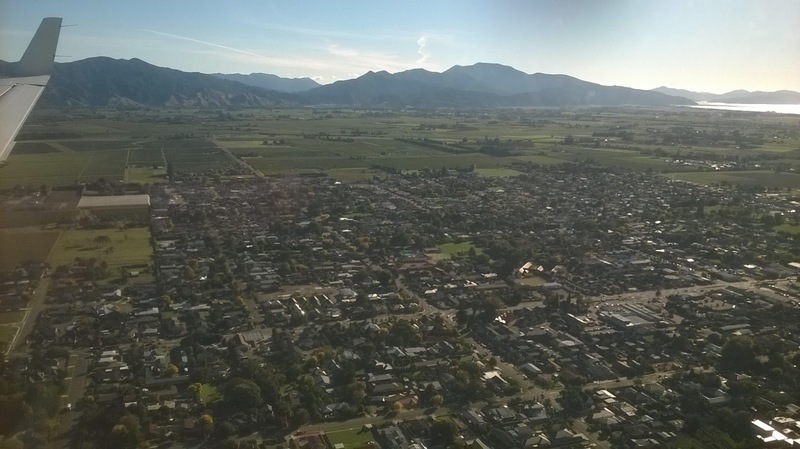 Ms Brewer said there would be a 25 percent capacity increase on the Auckland-Rotorua route, an increase of up to 20 percent on the Rotorua-Christchurch route, and improved connectivity between Rotorua and Queenstown. 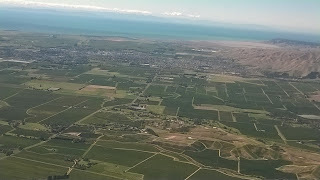 The increased capacity and connectivity would predominantly come from additional frequency on the Auckland and Christchurch routes. Connections with Queenstown would also increase from two to five a day from the end of October. 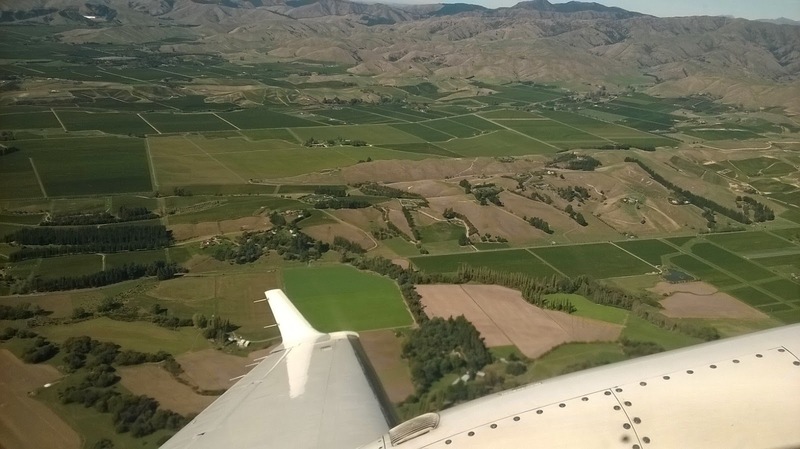 New 50-seater flights between Auckland and Taupo has been a big boost for the tourism trade according to Mayor David Trewavas. Air New Zealand switched from 19-seat aircraft earlier this year to the bigger Q300 aircraft and reduced airfares. The service has been 70 per cent full ever since. Mayor David Trewavas said the extra numbers coming from Auckland was good news for the region. ‘‘We’re getting increased tourist traffic which is a big industry for our region. ‘‘It’s possible to do quick day trips without much travel time.’’ Trewavas said the reduction in the fare price was a factor in the increased traveller numbers. ‘‘You can get a flight from $59 if you book ahead or $79 if you do it overnight,’’ he said. ‘‘It’s extremely good for Taupo and the tourist operators are seeing the rewards.’’ The flow-on effects from the increased traffic could also mean an upgrade to Taupo’s terminal as more passengers have pushed facilities to their limit with talk of an upgrade on the cards. 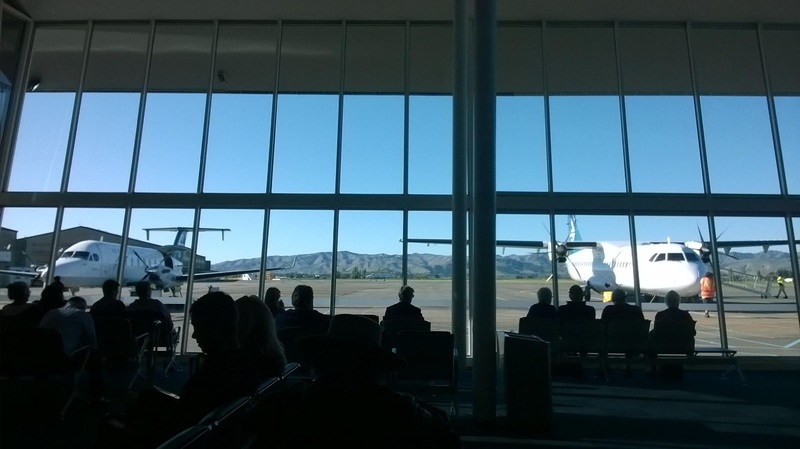 In the Taupo Airport Authority General Manager’s report Mike Groome said the additional baggage, passengers and greeters at the terminal have caused them to investigate what can be done to upgrade the terminal. Air New Zealand made major cuts to its regional network in April and closed its Taupo to Wellington service. 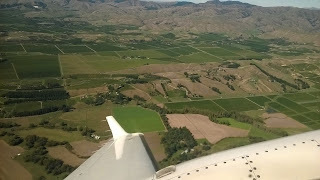 Trewavas said when Air New Zealand stopped operating the Taupo to Wellington flights, which was then picked up by Sounds Air, they made a commitment to upgrade their other services. 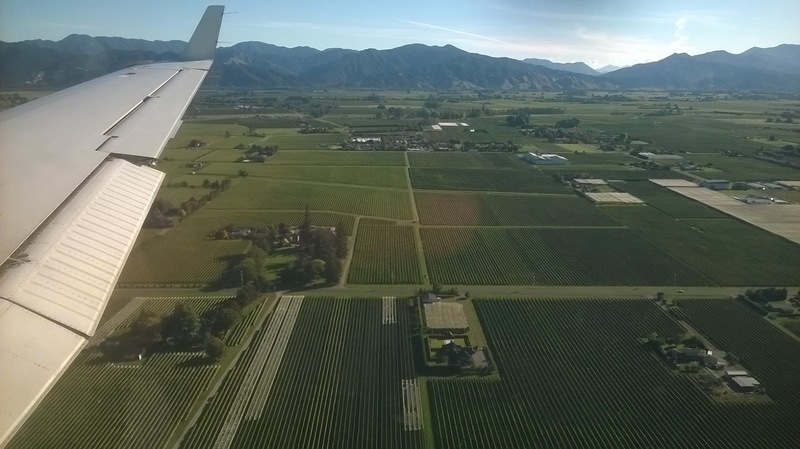 Representatives from Air New Zealand were in Taupo last week to take in some of the sights and see first hand what the region had to offer. After taking a spin on the Huka Jet the group headed to the Prawn Park and took in other tourist attractions in the region to assist in their marketing. ‘‘It helps us get a sense of the area and how we can best market it,’’ Head of Government and Industry Affairs Duncan Small said. Whanganui air travellers should brace themselves for a return of the smaller planes servicing the city link to Auckland. 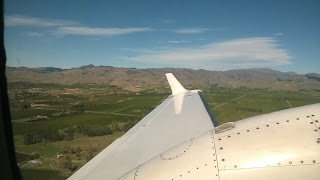 Air New Zealand has confirmed that the 19-seater Beechcraft 1900D aircraft will be back in service from May 8 through to June 12, coming back due to what the airline calls "operational requirements". The 19-seater planes have only recently been replaced by the 50-seater Bombardier Q300s, which started in regular daily service from February 9. The smaller planes had serviced the Whanganui-Auckland route for years, but Air New Zealand is phasing them out. "We're using Beech aircraft on the Whanganui route for a short period in May and June due to operational requirements,"a spokeswoman said. The Chronicle understands the airline needs to use the Bombardiers on routes where it will be servicing with 62-seater Aerospatiale ATR72 planes that were still to arrive. "We appreciate that Whanganui customers have been enjoying travelling on our larger Q300 aircraft and can reassure you they'll be back flying Whanganui-Auckland soon," she said. Whanganui Mayor Annette Main said when she heard of the change of planes she contacted Air New Zealand. "I've been reassured this is a temporary measure based on the need to backfill in areas where they are waiting for 68-seaters to arrive," Ms Main said. She said she knew people were enjoying the 50-seaters from and to Whanganui. But she said while this was a temporary change unrelated to passenger issues, she was mindful that passenger numbers needed to be built up to fill the Q300 aircraft. "That isn't helped by aggressive advertising into Whanganui from Palmerston North airport. 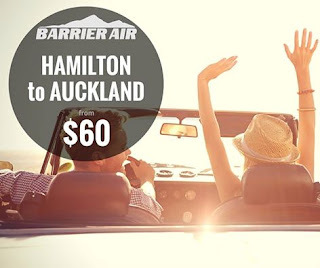 But with the better airfare prices we're able to access now, it should be more cost-effective in terms of things like time and car storage costs to fly to Auckland from Whanganui. "That will help us to lower the risk of changes in the future as well," Ms Main said. The airline spokeswoman said reverting to the Beechcraft planes would not create any problems in terms of handling bookings. "We've had adequate time to change the aircraft type in our booking system, and therefore available seats, so customers can be assured that we can accommodate their bookings." 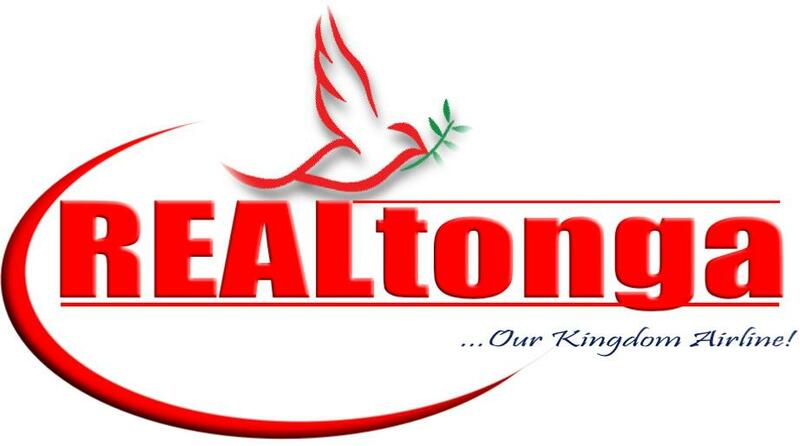 Check out this... I thought I was doing well flying into all the Air NZ domestic ports..
No mention of what other domestic airlines he has flown on... I've only got Fly My Sky to try! Its funny how complacent we can get when it comes to our day to day observations and it was one of these occasions whilst visiting Auckland International a couple of days ago that a glance to the domestic ramp area saw a Beech 1900D parked up. Nothing strange about that - oh, but hold on - Eagle Airways withdrew from Auckland operations back in early February! And wait a minute - its All Black Beech ZK-EAG and this aircraft had been withdrawn from flying duties in March! Some quick research was done and thanks to FlightRadar24 it was possible to track down ZK-EAG movements with it flying up from Hamilton to Auckland on 20 April, apparently for temporary storage but I'd have thought there would be ample space at Hamilton? Looking through the schedules it seems Eagle Airways will be operating out of Auckland to Wanganui and back from 10 May for a few weeks in lieu of Air Nelson Q300's. ZK-EAG getting wet at Auckland 24 April 2016. Air New Zealand's "ridiculous" new flight schedule to Timaru is making business difficult, a local businessman says. Brian Kenton says having the latest flight out of town at 11.30am forces business visitors to work late into the night or stay in town two nights instead. He believes TImaru District Council should raise the issue as it plans to revamp Richard Pearse airport. Kenton, who is a director in several South Canterbury companies including engineering firm Wallace and Cooper, said on Monday a series of business meetings last week showed how difficult air commutes to Timaru were. 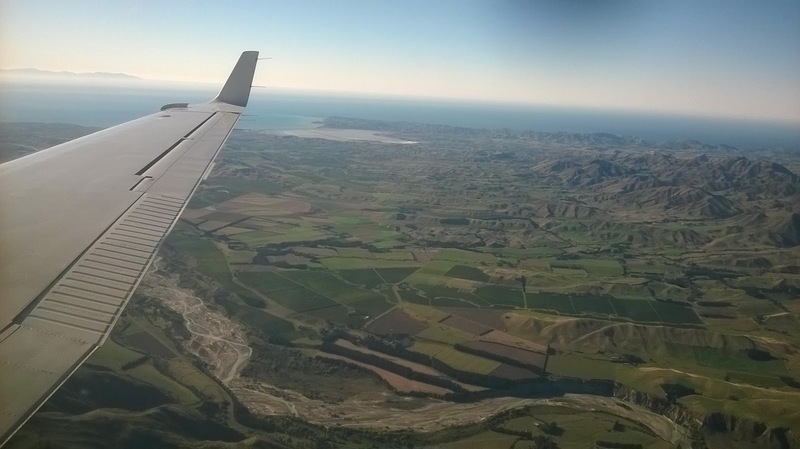 He said the schedule, which Air New Zealand introduced in MArch along with 50-seat airplanes to replaces its 19-seat Beechraft fleet, was less than ideal for visitors coming from Nelson, Dunedin, Auckland and Wellington. 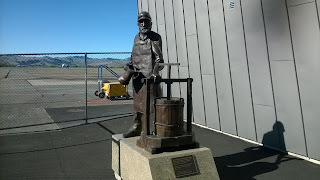 He understood many businesspeople preferred to fly to Christchurch and drive a rental car from there instead of flying to Richard Pearse Airport. "Nobody can fly in and do a day's business," Kenton said. "It's ridiculous." Timaru District mayor Damon Odey said last week population was the district's "biggest hurdle". 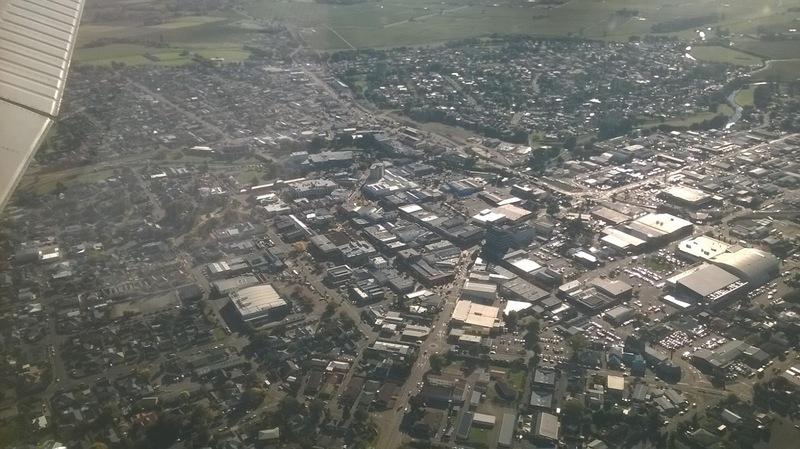 Kenton said Timaru District, which has a population of about 43,000, needed more residents. "People make work." Kenton said Nelson, whose population had grown more quickly than Timaru's in recent decades, enjoyed more air connections than Timaru. 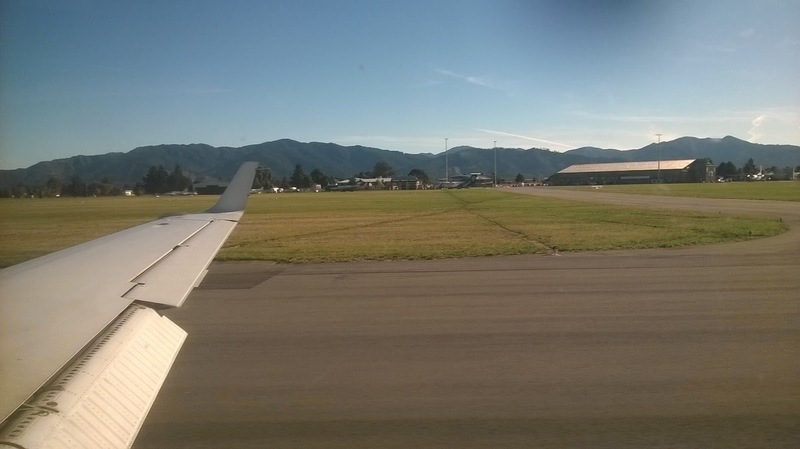 Nelson airport's website states 283 flights a week land and take off there. Air New Zealand's weekly flights to and from Timaru total 24. Timaru District Council is discussing Air New Zealand's requirements in a planned $1.3 million upgrade of Richard Pearse airport, and Kenton said its flight schedule should be raised in discussions. Timaru Airport chief executive Ashley Harper said on Tuesday the council "understand that the new times will not work for everyone but are confident that Air New Zealand has listened to our feedback". Harper, who is also the council's district services group manager, said the council had been "in close consultation" with the airline about its new aircraft and new schedule for 12 months. 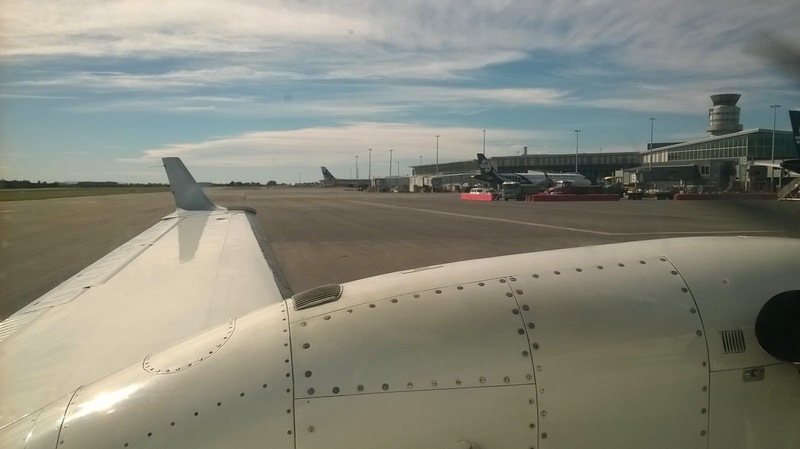 "We welcome the larger aircraft and the improved level of service for Timaru air passengers", Harper said. An Air New Zealand spokeswoman said the airline consulted with local businesspeople and key stakeholders to ensure the schedule met most customers's needs before introducing it. The revised schedule allowed Timaru customers to travel to Wellington and back in a day and connect to other New Zealand ports and return the same day, the spokeswoman said. She said Air New Zealand would continue to work with "local stakeholders", but said it was difficult to meet every customer's needs. 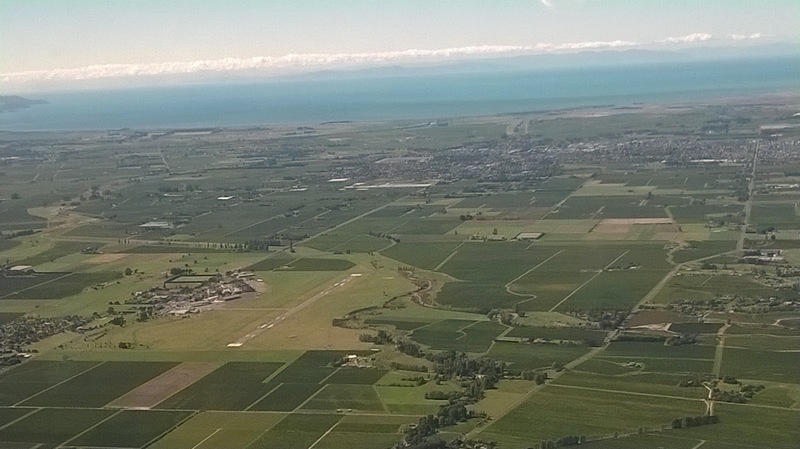 Kenton said he refused to believe Air New Zealand cared "one little bit" about Timaru. 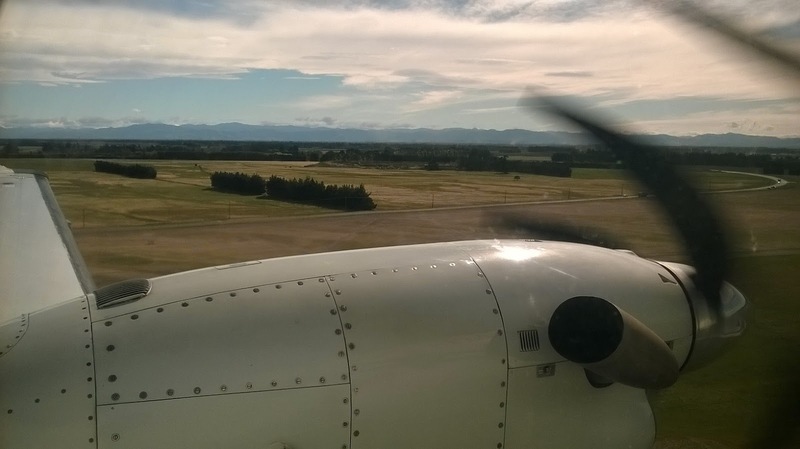 South Canterbury Chamber of Commerce president John Cannell said the chamber had not received any complaints about the service, but had "a real desire for the flight schedule to work in the best interests of Timaru". 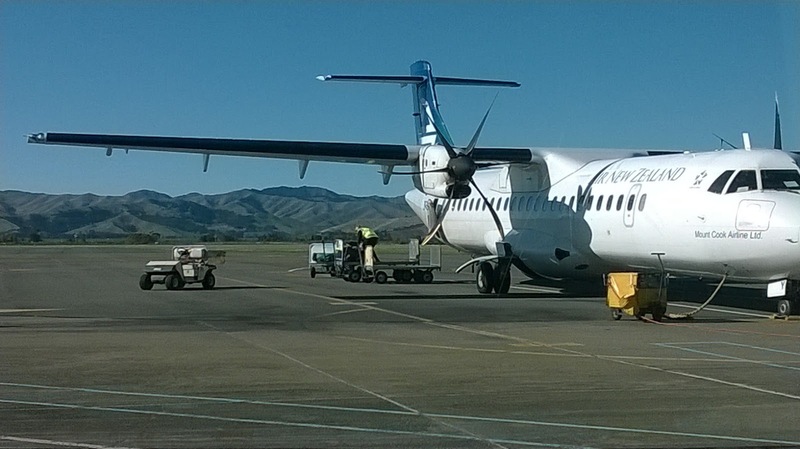 Nelson airline Originair has ended its association with former operator Air Freight NZ but expects to by flying again before long, says managing director Robert Inglis. It intended to operate mainly in the charter market and to resume the Nelson-Palmerston North run, he said, either with another operator or by gaining its own operating certificate. 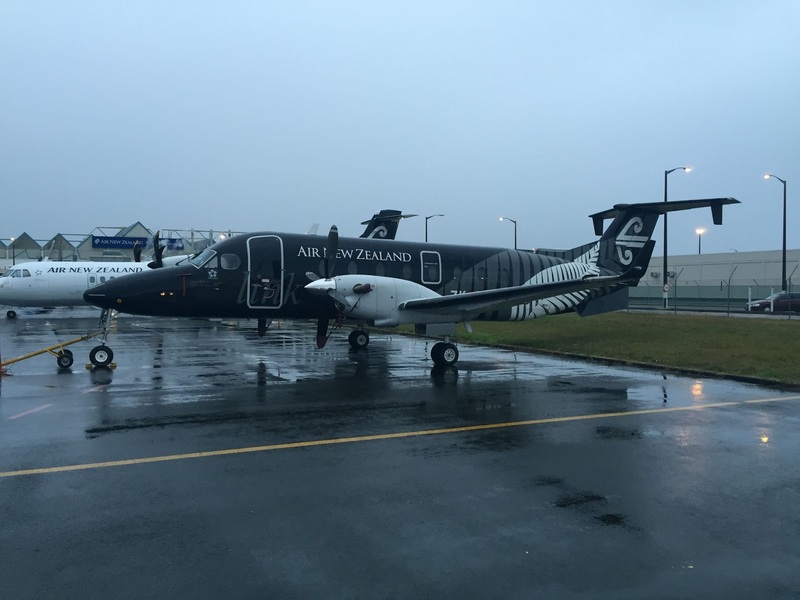 The Civil Aviation Authority put restrictions on Air Freight NZ's aircraft operating certificate after safety concerns were raised earlier this year, preventing it from flying Originair's two British Aerospace Jetstream 32s. Originair then contracted another operator, Airwork NZ, to pick up its Nelson-Palmerston North and Nelson-Wellington routes using Metroliners. That arrangement finished at the end of March and Originair has not flown since. Inglis owns one of the two Jetstreams and leases the other from Inflight NZ, a subsidiary of Airwork NZ. He said CAA had not provided him any details of its investigation into Air Freight NZ, which has recently concluded. "We are making plans to modestly operate our aircraft again, but not with Air Freight NZ." Originair had the opportunity of operating with another company, and was also considering obtaining its own operating certificate. When that was worked through the airline would "continue to operate some modest charter services and some peak-time schedule work that is hopefully of some use to the community". The off-season was approaching and there was "no great rush", Inglis said. "We'd rather get it structured correctly and look ahead 10 years, not the next month or so." 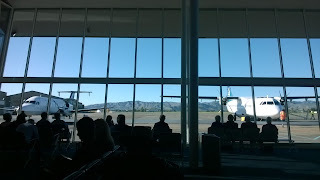 The removal of Originair check-in signage at Nelson Airport was standard practice at airports today, with the desk work being contracted out, and signs going up only when flights were imminent. "You can't have grandfather rights. When you operate, you can put your signage up and off you go." He said Originair had never for a moment pretended to be "doing anything major". "It's just providing another option for charter services for all types of work, and a little bit of modest scheduled service to go with it." 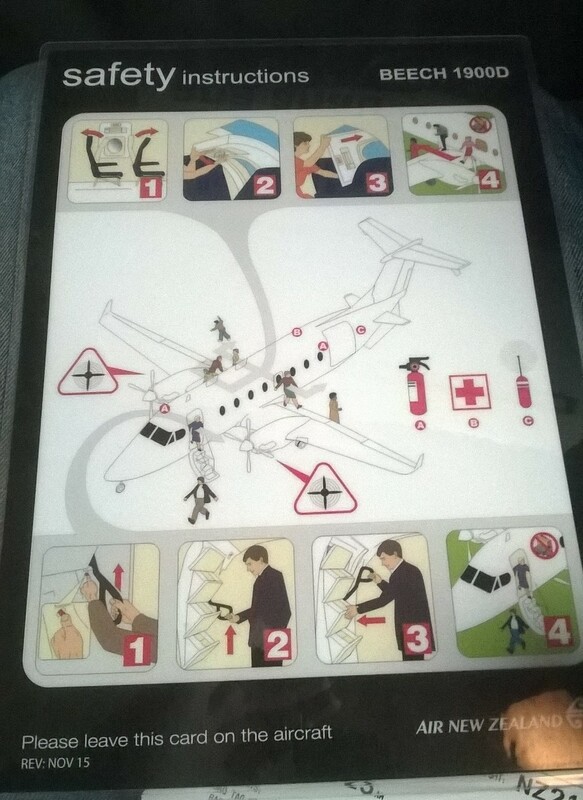 The airline still employed two staff. People handling check-in and tarmac duties now worked for the contractor Aerocare, and nobody had lost a job. Originair began flying the Nelson-Palmerston North route in mid-August last year, and added Nelson-Wellington in September. The Wellington market changed "dramatically" once Jetstar began offering flights to Nelson, Inglis said. CAA corporate communications spokesperson Mike Richards said the investigation into Air Freight NZ's operation of Originair flights had "validated some of [the] safety concerns" initially raised. Conditions on the carrier's operating certificate relating to Originair were still in effect should the airline decide to contract Air Freight NZ in future, he said. Fairchild SA227-AC Metroliner ZK-NSS has appeared in the aircraft owners changes as going to Air Chathams 8 April 2016. ZK-NSS was imported for service with Air Nelson service between September 1990 and January 1991 after which it was sold to Airwork NZ Ltd who continue to operate it until earlier this year. Metroliner ZK-NSS with Air Nelson markings at Nelson on 28 November 1990. It was never painted in full Air Nelson colours. I see from my 'logbook' that I flew on ZK-NSS from Wellington to Nelson on Origin Pacific flight 683 on 6 November 2003. Aiwork itself used NSS for its freight services and more latterly in fulfilling its Life Flight Air Ambulance contract. 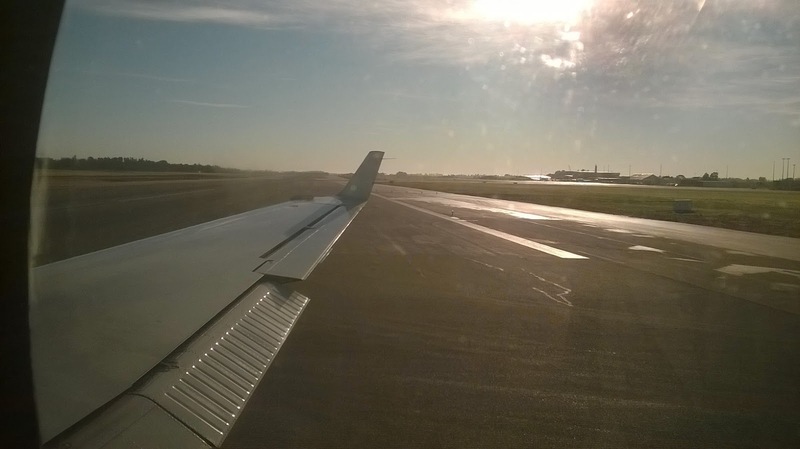 When is your final flight on a Beech 1900??? 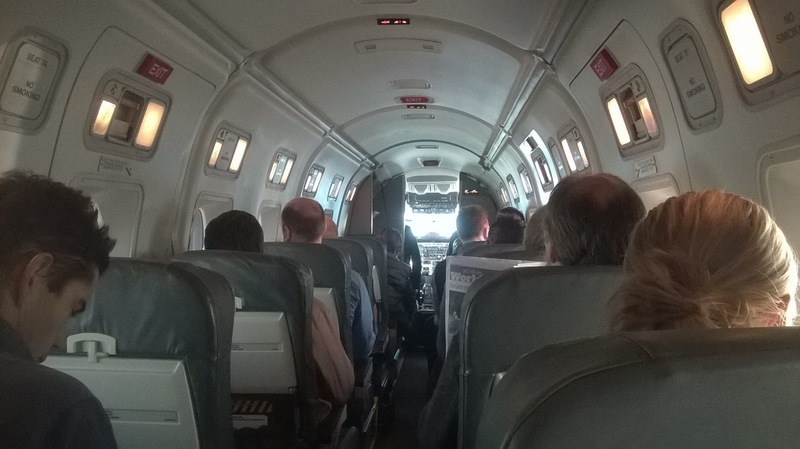 I took a farewell Beech flight today (11 April 2016) you may want to put the pictures on your blog. Flight was 2125 Christchurch to Blenheim using ZK- EAE both ways had 13 passengers for the northbound and only 9 coming home. Left at 0840 from gate 4 nice view of Kaikoura and the vineyards on the way up we landed on runway 24 at Woodbourne and parked up on gate 1. Perfect flying conditions with unlimited visibility today. 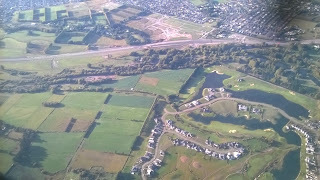 Flight time was 50 mins and we kept to schedule on both sectors. My last flight on a Beech 1900 will be on the afternoon/evening of 26 August, Hamilton-Palmerston North-Hamilton. Are you planning a final Beech flight? Is it over for Originair?? ?